Next message: dlmcneely-in-lunet.edu: "Re: NANFA-L-- sunfish ID"
Previous message: Harry Thames: "NANFA-L-- sunfish ID"
Next in thread: dlmcneely-in-lunet.edu: "Re: NANFA-L-- sunfish ID"
Hello Harry - nice colorful male sunfish. First - I would check the local ranges for the various Lepomis species that may inhabit the stream. The local DNR biologists may have the answer you need. Longear coloration is highly variable, but I do not recognize the multiple spots presented on your specimen. A soft flexible white tipped opercle flap = longear vs a rigid black opercle flap = redbreast. 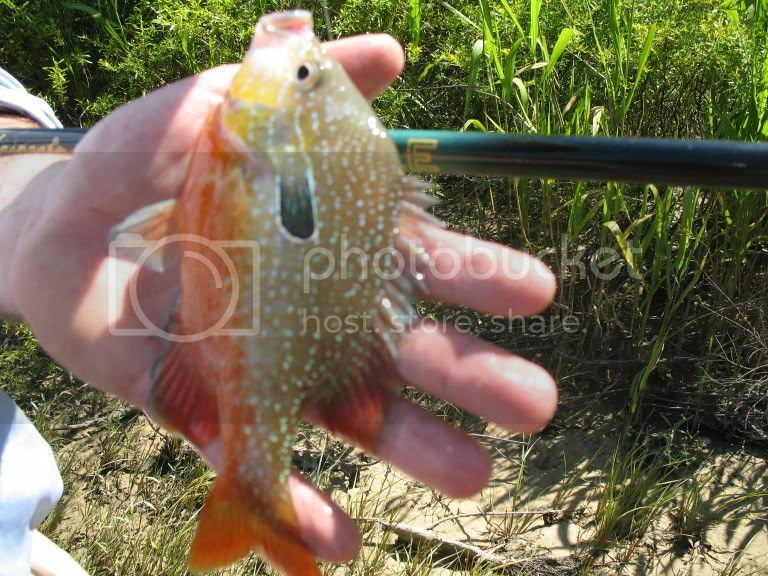 Research the dollar sunfish also, not sure if they range that far west ? ?